2019 could be one of the marketing industry’s most challenging years to date. 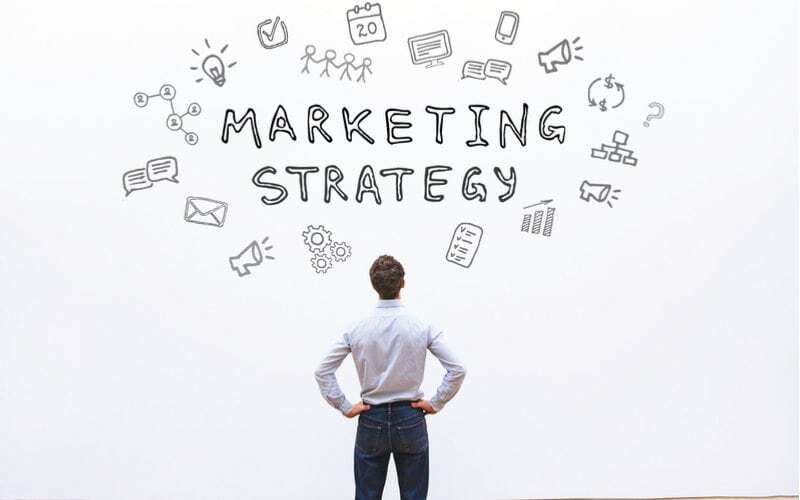 With clients demanding more ads for less money, and consumers wanting more value and less advertising, strategic planning professionals are placed squarely in the middle of this paradox. As a 10 year industry veteran who has built her career working at one of the most influential advertising agencies in the world and developing omni-channel strategies for globally beloved brands, I can tell you that success in 2019 means taking a step back from ‘business as usual’. Given the speed at which consumers are adopting new technologies, we can no longer use research that’s more than 3 years old to support an approach. Old data causes outdated ideas to flourish, and while it may be helpful in selling in an idea to clients, resting on these laurels will undoubtedly have a negative impact on the efficacy of the work overall. Instead of using that Forrester social media report from 2013 to support your case, consider extrapolating data from platform specific reporting tools to anticipate consumer habits and drive content relevancy. Clients know their business better than anyone, and as a result, often think they know exactly what their customers want. However, this is very rarely the case, especially when dealing with global brands and multi-million dollar companies. Instead of taking a client brief at ‘face-value’ when it comes to consumer behaviors and attitudes about their brand, check in with real customers. Read reviews, speak to actual humans who use those brands, and try the brand yourself. You just might uncover one of those elusive goodies we call ‘insights’. In line with the point above, Amazon reviews can be a critical research tool, especially when developing plans for Consumer Packaged Goods (CPG) brands. Not only can you gain first-hand knowledge from thousands of brand users, you can also learn what they are saying about the competition. Consider pulling Amazon reviews for your brand and it’s top 5 competitors and analyzing the different consumer sentiments around each. You will undoubtedly find something to spark curiosity, and I guarantee, your creative team will thank you. Often times, when working with Business-to-Business clients, strategists will treat the ‘customer’ as some sort of ‘less than human’ entity. We assume that because someone has a C-suite title, or 6-figure decision making power, that they somehow have completely different media consumption habits than demographically similar humans. The short answer is, they don’t. While B2B target audiences may not be looking for their next purchase on Facebook, contextual relevance, emotionally driven content, and rewarding product experiences are just as important to them as they are to consumers deciding on their next sparkling water purchase. 5. We’re going from ‘digital-first’ planning to ‘digital-everywhere’ planning. Back in the old days of 2012, marketers began transitioning to what they called ‘digital-first’ planning. Essentially, this meant the prioritization of online media amplification versus traditional TV, Out-of-Home and experiential based plans. In 2019, consumers are watching TV online, billboards are connected to the internet and all of the best experiences are shared via social media. When developing strategies across multiple customer touchpoints, it’s important to ensure online media buys reflect and reference campaign activities in the offline world to provide the most seamless consumer experience possible. I know what you’re thinking, I used the word digital in tip #5, and now I’m saying there’s no such thing. I did that to make a point, and you should start erasing the word ‘digital’ from your vocabulary as I pledge to do this year as well. In 2019, digital, just means ‘connected’ and the latter is a much more accurate way of describing how and where we’re trying to reach our customers. Think about Alexa/Google Home – are these purely digital? No. But are they connected? Of course. As more technology starts to roll out in the form of wearables, Holograms, VR/AR experiences etc. you’ll thank me for at least simplifying the semantics in an increasingly complicated media landscape. 7. There’s no such thing as a Digital Strategic Planner. You’re a Connections Strategist. Are you seeing a theme here? Get the word ‘digital’ out of your head, and especially out of your title! Now I’ll admit, it’s going to take some time for the industry to phase this out completely so you’ll likely still need to include ‘digital expertise’ on your LinkedIn profile. However, forward-thinking agencies are now adopting the title of Connections Planner or Connections Strategist to describe folks formally known as digital/social strategic planners. Essentially, to be a Planner in 2019, means to have the ability to strategically connect the dots along a consumer journey through contextually relevant content and experiences. Consumer, Connections, Context, Relevancy, Content, Experiences, Amplification. Those should be your top 7 words of the year (in that order). If you aren’t aware of ThinkWithGoogle.com, then you’re a few years late to the party. However, 2019 is the year for you to become an expert. Whether you’re looking for consumer insights, cultural trends or industry benchmarks, https://www.thinkwithgoogle.com/tools/ is the resource you’ve been dreaming of for your entire life as a strategist. Based on Google’s infinite consumer data repository, and built with an interface that even a novice could navigate, the resources provide marketers with recent, relevant and insightful data points that can ultimately help increase the efficacy of any strategic plan. These days, it’s becoming increasingly difficult for marketing to stand out. One of the reasons is that both clients and agency teams often default to the ‘path of least resistance’ when it comes to planning and executing campaigns. At the first sign of clients questioning a creative execution, account management often tends to push creatives and strategists to ‘simplify’ the idea to make clients more comfortable with it. Unfortunately, it’s this ‘dumbing down’ of ideas that often produces mediocre work. While these campaigns may serve their purpose of ‘driving awareness and consideration of <insert brand here>’, they are certainly not award-worthy and often fade into the oblivion once they’ve run their course. I’ve had to fight for every single award-winning campaign I’ve ever worked on. In some cases, literal arguments with clients and launch dates delayed by months. However, in the end, going above and beyond to make and prove the case for groundbreaking work will always pay off. I’ve got a Grand Prix at the Cassies, 2 Silver Effies and multiple gold Marketing Awards to prove it. Everyone knows consumers demand authenticity. As marketers, it’s important that we authentically love the campaigns we’re developing as we’re strategically planning them – otherwise, the work will come across as inauthentic, no matter how many babies and puppies you try to cram into the video. If you don’t love the work after spending months developing it, it will be impossible for a consumer to feel emotionally connected to it after being forced to watch a 15 second TrueView ad on YouTube. Consumer participation can include encouraging the use of a campaign hashtag, answering a poll question, attending a live event, wearing branded ‘merch’ or even just sharing your content via their social channels. Customers are much more connected to (and invested in) brands that they can interact with beyond just a product level. Much like our favorite artists and bands, the brands and products we use everyday are often representations of our tastes, interests and values. By giving consumers opportunities to share their thoughts and experiences through the brand, marketers can improve metrics like brand love, product consideration and loyalty while in turn, prompting trial among new customers yearning to belong to the brand’s tribe. 12. Test & learn – for real this time. “Test & Learn” is probably my favorite phrase in all of marketing jargon. It’s certainly the most useful – especially when trying to push the boundaries of what a brand has done in the past. When facing challenges from either external or internal partners as it relates to getting an innovative ‘first-to-market’ idea executed, I’ve often turned to my favorite phrase for help. Good ideas often don’t have a ton of solid data to guarantee their efficacy because they are usually being done for the first time. By encouraging client teams to agree to a ‘test and learn’ approach, we gain valuable insights on consumer reactions to the work while also learning ways to drive efficiencies as we increase investment and scale of the campaign. It’s important to note that there are no ‘failures’ in test and learn, but rather ‘optimization opportunities’ that will only improve future efforts. Think about marketing as a traditional science, and test and learn as our methodology for proving the hypothesis that customers really do want brands to do things they’ve never seen before. Shocking, I know. 13. Show real people, in real life, using your product in real ways. In 2019, it will be extremely difficult to convert new users to your brand without first showing them how people like them are already deriving value from your products. This doesn’t mean that every single ad needs to be an influencer created piece of content or that your campaign can’t roll out featuring glossy visuals and stunning actors. It just means that real people need to be included in your strategic planning process in some capacity. This can include featuring consumer reviews as part of your ‘always-on’ content strategy, encouraging customers to share their product experiences via social or simply highlighting ‘Case Studies’ on your website. Consistency builds trust. Especially if you’re a brand that consumers use daily such as toothpaste, a bank, or breakfast cereal. Consider establishing ongoing partnerships with influencers and publishers to help consumers see the long term benefits loyalty to the brand can provide. Maintain these partnerships through limited time exclusive offerings to keep the brand top of mind in an ongoing way. This can include things like limited edition packaging via your target’s favorite magazine, or Sprite’s relatively small run of cans featuring the faces of famous Instagram personalities. Ultimately, this will serve to turn casual brand users into fans by authentically connecting to their adoration for a particular influencer or magazine in a meaningful way. So you’re technically a brand strategist, and prefer to wait for the engagement strategist and the social strategist to help you strategize your final strategy? Just stop. Eventually, there will only be one, and strategy professionals will need to have a clear understanding of all elements of Planning and campaign development. One day, we might all work at consulting firms where we’re only as good as the last million dollars we’ve squeezed out of a client. Until then, take the time to learn what you don’t know. Ultimately you will be much more useful as a multi-faceted strategic planner than one that needs to ‘check-out’ once the clients have approved the positioning statement. 16. Size (and length) matters. Loyalty to just one is a problem. The debate about shorter versus longer content has been going on for years with still no definitive answer. While Facebook and YouTube are pushing for commercials that last just a few seconds, long form branded content such as Nike’s Kaepernick spot, Australia Tourism’s Crocodile Dundee trailer or Volvo’s Jean-Claude Van Dam masterpiece continue to run contrary to this advice. Why is that? Well for starters, because 95% of brands don’t want to invest the time, budget and effort to do long form content the right way. Neither of the aforementioned ads could have possibly been created for a few thousand dollars in a couple of months. Secondly, it’s because platforms like Facebook and Youtube make more money from running a higher quantity of shorter ads from more advertisers while offering them a cheaper price per unit – think the ‘UberPool’ model. In the end, it’s important to have a clear vision for the campaign from the outset, and leverage a variety of content types and lengths to drive awareness, relevancy and engagement among an increasingly cynical audience. Shorter content works hard at driving awareness while longer content tells a story and builds brand love while fostering engagement and emotional connections. However, if you don’t have the time, budget or energy to produce two good minutes of content (and I mean two really, really good minutes), keep it short and keep it moving. If you don’t already, you need to start reading the Harvard Business Review in 2019. Why? Because your client’s boss is reading it. Gaining an understanding of how business itself is transforming will ultimately make you a better marketer and increase your ability to develop effective campaigns. 13 year olds are some of the most insightful humans on the planet. They straddle an interesting 3-tiered role as children, teenagers and young adults all in one. Typically at this age, they are in grade 8 – the top of the food chain at most middle/elementary schools and have yet to endure the confidence erosion that comes with entering high school. Their outlook on the world is still pure in many ways, and the way that they articulate what they like and what they don’t comes with an air of honesty that tends to get lost with age. As a marketer, you can often get ahead of upcoming trends by observing their media consumption habits, gaining an understanding their interests, and finding out why they like the brands they love. Folks who’ve employed this methodology in the past were likely the first to learn about phenomenons like Tik Tok, PewdiePie and of course slime. I’ve definitely executed successful campaigns on Snap! and with influencers based on insights I’ve gained from 8th graders. Try organizing a panel of 13 year olds for a research session at your company and see for yourself! In a world filled with quick fixes, it seems as if patience is a lost virtue. If you’re still using the word ‘digital’, adhering to client requests to ‘simplify’ creative ideas and still haven’t found the ‘love’ in your work – not to fear, you’ve got the rest of the year to figure it out. Remember, the first step is recognizing that something needs to change. And by taking the time to read all 19 of these tips, you’re definitely on the right track! Asha Davis has been recognized as one of the top strategic planners in the field . She is a seasoned marketing professional with 10 years of experience developing effective and successful strategic plans for globally recognized brands such as Dove, Huggies, Kleenex, Perrier, Cadbury and more. Her work has received numerous awards including at Effies, Cassies, Webby's and more. Asha is currently a (Strategic) Planning Director at TBWA \ Chiat \ Day - AdWeek's Global Agency of the Year. Prior to joining, Asha was a senior strategist at Ogilvy & Mather's New York and Toronto offices. When she's not working, Asha enjoys performing stand up comedy, and is always ready to demonstrate ways in which the craft can be applied to corporate settings to inspire creativity. She also enjoys long walks on the beach, but prefers short glasses of whiskey at tall bars.